UPDATE: 6ix9ine appeared in a New York court Monday morning, pleading not guilty in his federal racketeering case. According to reports the judge has set his trial date for September 4, 2019, meaning Tekashi will likely spend most of the next year behind bars as his bail request has been denied. ORIGINAL: Tekashi 6ix9ine’s legal situation continues to unfold and so far it does not look good for the New York rapper. According to DJ Akademiks, 6ix9ine’s lawyer cancelled the scheduled bail hearing that was supposed to take place this morning, meaning Tekashi will remain in jail until he is officially arraigned next Monday. On Sunday night the rapper was indicted on 6 counts, the most serious of which comes with a mandatory 32 year sentence if convicted. 6ix9ine’s upcoming Dummy Boy album has been postponed until further notice. 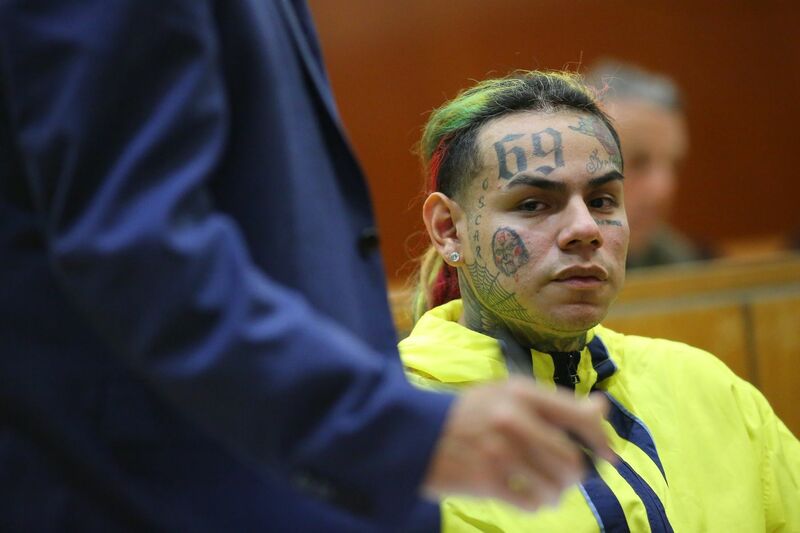 6ix9ine’s Lawyer has cancelled his Bail Hearing for this morning, He will sit in jail for another week at least. He will be back in court and officially arraigned w/ codefendants on Monday.